It may sound like a medical condition, but an aphorism is actually a concise, memorable expression of a general principle or truth. That’s a LOT of wisdom in four tiny words. But even if you can’t tell the blade from the handle on your saw, there’s still much to be gleaned from considering this simple saying. The perhaps obvious message is it’s better to double check your plan BEFORE taking an action with permanent and potentially expensive consequences. After all, measuring is fairly quick and inexpensive compared to rendering a valuable resource useless due to an incorrect irreversible action. Of course, the flip side of double-checking everything is it takes twice as long to get things done. That’s expensive too. Time is money as they say. … we wondered if there’s a way to measure right the first time so you can take quick and accurate action. Because no matter what kind of market you’re in … the BEST deals go fast. And while you’re busy double-checking your math … someone else who’s faster and more skilled is writing the contract. Measure twice and miss out. Ouch … that’s no fun either. Missing out on a great deal is a double hit … wasted time and missed profit. So whether you’re a carpenter, tailor, flooring installer, or an ambitious real estate investor, it’s probably a REALLY smart investment to learn how to move faster with precision. It comes down to education and experience. When you know what you’re doing and you’ve reinforced accurate actions through real world practice, you’ll make good decisions and take effective action faster. That’s a huge advantage in any market … especially hot ones. Of course, this begs the question … how to gain the right education and experience? And here again, we look at the trades. Yes, there’s some classroom training to get familiar with concepts and terms. But the REAL learning happens as they work as an apprentice under the watchful eye of an experienced mentor or “master” … and then as a fully qualified journeyman honing his craft through practice on a daily basis. Some journeymen take on an apprentice and further develop their craft by mentoring as a master. They learn by teaching in the real world. Business and investing are much the same way … or should be. So you can and should , listen to , and attend . Ingesting good ideas is a great start. Sadly, this is where it ends for many people. They learn enough to get excited … maybe even take some action … and quickly get overwhelmed with information … or in over their heads in difficult deals. Without experienced advisors and mentors to turn to at this pivotal stage … it’s easy to back away for fear of making an expensive mistake … or to press forward on sheer enthusiasm, only to hit a wall and lose both money and hope. When you consume content in the privacy of your own mind, consider that the primary purpose might not be to simply memorize answers or even stimulate ideas … although both are important. Content is most useful for helping you recognize when you need some help in the real world, discovering who you can call, how to ask great questions, and for better understanding the answers your mentors and advisors give you. That’s why the mentor / apprentice model is arguably far more effective for developing mastery than the teacher / student model. Of course, finding the right mentor is a challenge. Not all masters love to teach and not all mentors are masters. And in today’s complex world, you may need more than one … which is an even taller order. The key is to focus on building good relationships with a network of masters and peers … people who have mastered or are mastering the same skills and activities you aspire to master. And while you may need to invest money into some of the relationships you’ll need, it’s also possible to find good relationships in groups you join or . We think content is a great tool to bring the right people together and give you things to connect on and talk about. And don’t be surprised if you end up doing some business together. Although we’ve found if you make transactions the focal point, you’ll dilute the learning. Our suggestion for your interaction with mentors, apprentices, mastermind groups, and even investment clubs … is to focus on learning, sharing, encouraging, and edifying each other. We think you’ll find any deals which happen based on this mutually edifying relationship will often be much better than deal speed-dating. Of course, like most things valuable, it’s hard work to build a great network and endear yourself to a group of high-performers. It can be a little intimidating. But when you push through, you’ll have a powerful support network that helps each other find opportunities, navigate obstacles, and solve the most pressing challenges … faster. And because it’s so hard, most people won’t do it. So once YOU do, you’ve got an extremely rare and valuable asset. Some investors do deals. Others build a portfolio. Some build a business. Those that build a tribe create something more valuable because it accelerates the development of all those things … and more. It’s hard to watch the financial news these days and not get the feeling the fragility in the financial system we’ve been concerned about … is starting to show. Get away from glass and hide under the shelter of a desk or doorway … because stuff was probably going to start falling. Fragile things shatter in an earthquake. They can’t handle the pressure. The key to safety is to get to the sturdiest parts of the structure until the shaking subsides. Of course, when it’s clear and bright … the windows are the most fun. You can bask in the sunshine of hope and opportunity. But when the foundation is shaking, it’s time to find shelter … FAST. You’ve probably noticed stock prices slipping. Even the fabled FAANGs (Facebook, Amazon, Apple, Netflix, Google) are ALL now in bear markets. So what? After all, we’re real estate investors. What do we care about stocks? We don’t. At least not directly. But all these markets are like gauges on our financial dashboard … and when they start flashing red, it’s wise to investigate. This is a newsletter, not a seminar, but let’s see what we can reason together in the next few minutes about what’s shaking in the financial world … and where it might be headed. The first place to look is the most important financial market there is … bonds. Of course, real estate investors should watch the bond market for clues about the direction of interest rates. But while interest rates are interesting … credit markets are what REALLY matter. That’s because credit markets both create and price the currency which fuels everything else. Credit markets are like the big reactor core in the Star Wars Debt Death Star. They’re both the fuel source and the weak spot at the same time. To take the metaphor a conspiratorial step further … credit markets are also the source of the Emperor’s power. And as Peter Schiff persistently points out … when the original Debt Star blew up in 2008, the Emperor wasted no time in building a bigger, deadlier version. The obvious implication is the next explosion could be a LOT bigger. Now in a plain vanilla stock market dip, some (usually innocuous) event spooks highly-leveraged paper traders. They sprint to the exits … and stock prices fall. But then they calm down and the next day they’re back out there snapping up bargains. This “buy-the-dip” strategy has been the name of the game for several years. But the longer-term downtrend suggests something is different this time. Perhaps worries the Debt Star is running out of power? The Bitcoin crowd has been chanting “buy the dip” also … but here too, it seems the Farce is strong … and the downtrend has more gravitational pull than past dips. Clearly, nervous stock investors aren’t piling into Bitcoin for safety. Of course, the usual safe space for snowflake stock investors to hide is bonds. But if gobs of money were pouring into bonds … interest rates would be falling. While rates have certainly moderated the last few weeks from their upward trend, it’s hardly a serious decline. So … nothing happening now has us disagreeing with our recent conversation with David Stockman on the direction of rates. And we certainly would NOT be using short-term debt on tight-cap properties hoping to re-fi to lower rates in a year or two! If that’s your plan … be careful. Then there’s oil. You’ve probably heard the price has fallen. We’re guessing your tenants like it at the pump. Businesses too. Obviously, energy costs … just like interest and taxes … RAISE the costs of operating a business, a household, and an economy. President Trump’s a business guy. So to no surprise he prefers ALL three lower … so more profit gets to the bottom line. But oil … like gold … is MUCH more than just a commodity. Both have significant connections to the future of the U.S. dollar … and all three are powerful tools in geo-politics. Just last year, we pointed out China’s noteworthy moves with both oil and gold. And just because things are moving slowly, doesn’t mean they aren’t moving. All that to say … we’ve been paying close attention to this for several years … and it seems to us things are picking up speed. First … major financial events often seem to show up suddenly and shock the world … but they usually had a long and obvious (in hindsight) build up. We’ve learned to look further out so we have more time to re-position. After all, the blessing and curse of real estate is it moves slowly. So real estate investors are wise to pay attention to early warning indicators … and then rearrange portfolios to both mitigate risk and capture opportunities. Second … when economic and financial earthquakes first tremble … it’s smart to seek shelter under sturdy structures. For that reason, we think it’s likely to see MORE money moving into real estate in search of stability (and tax breaks). But just because real estate is stable doesn’t mean YOUR portfolio is. As we learned in 2008, bad portfolio structure crumbles when hit with tremors from a Debt Star explosion. However, when those market forces clean out weak portfolios, there are bargains galore … for those who are ready, willing, and able to take advantage. Ironically, consumers are tapping home equity like it’s 2007. We’re guessing holiday shopping will be solid. But it won’t make those borrowers wealthier. Savvy investors are grabbing equity too … and using it both to purchase strong cash flows … and to hold in reserve. It’s always good to have some cash if market tides turn. YOUR mission is to be among the aware and prepared … and NOT among the unaware and unprepared. It could be a good time to increase liquidity. Are we saying another crash is coming? No. But we can’t say it’s not. Right now, there are tremors. … YOU can sit safely inside your reinforced portfolio chomping on popcorn and watching the fireworks. And if the fireworks turn out to be a dud … you’re really no worse off for being prepared. With less than 7 weeks remaining in 2018, we’re taking a short break from our obsessive-compulsive perusal of the financial news. Because with an exciting New Year about to begin … full of hope, challenges, and opportunities … it’s a great time to focus on some important fundamentals. Think of the amount of money you put into fixing up a property in the hopes of generating a few thousand dollars of profit or cash flow. How much MORE important are YOUR education, skills, and network over the rest of your career? For a fraction of what you’ll spend sprucing up just a single property, you can increase your sales skills, gain more strategic clarity, expand your economic education, and grow your professional network. Sure, we understand you need to do deals … to produce profits … so you can pay the bills and keep investing. But transactions are really just a by-product of great relationships. When you put the transaction over the relationship, you risk killing the goose that lays the golden eggs. And remember, every person you know knows MANY more people you don’t. So even if the person in front of you isn’t ready to do a deal today, someone they know might be. … YOU have something of great value to enhance a relationship or work through one contact to reach another. Most people won’t give you a referral if they think you want to sell their referral something. But they’ll happily connect you if they think you will HELP their referral. That’s based on trust, which is based on the relationship. It sounds so easy … and it is. But for some reason, most people focus on the small value of the transaction and miss the HUGE value of the relationship. … over time, you’ll create a trustworthy reputation. Of course, a good, trustworthy reputation will attract more people into your life … and that means more relationships, and ultimately, more deals. We’re old enough to remember when Michael Gerber’s now classic title, The E-Myth, was the hot new business book. But the timeless lessons are as applicable today as ever. They set out to do whatever they can find to make money based on the belief that if they can just make enough money, THEN they can go do what they REALLY want. … or worse, you lose yourself in service to a business, portfolio and lifestyle you don’t really enjoy. And then you just hold your breath until the day you can sell it or retire on your investments. Better to ask yourself EARLY what’s really important to you … how you want to live … what you love to do … and then build a business and/or portfolio around THAT. It’s a harder problem to solve, but you’ll LOVE the answer when you find it. We all run around with pictures in our mind. How we see the world … how we see ourselves … what we’re working to accomplish. The challenge for many is the picture is fuzzy. It’s like driving in the fog. You have a sense of direction … but aren’t exactly sure how to get there. You’re feeling your way … scared to go too fast and miss a turn or fall into a ditch. Yet some people are taking bold action and moving aggressively through life. Bold action takers can “see” exactly where they’re going, what they’re building, and WHY … and that vision inspires and emboldens them to move towards the goals with enthusiasm and confidence. So when you’re not sure what to do, focus on your vision. Just seeing the end from the beginning is often enough to tell you what to do next. Really? Doesn’t focusing on the negative create paralysis? Only for amateurs. Pros are more afraid of what they DON’T see than what they do … because you can’t avoid or manage risks you aren’t aware of. Billionaire real estate investor Sam Zell says everyone sees the upside. That’s what they look for and what motivates them to go for it. But Zell says his success comes from being able to see the DOWNSIDE too … and then making plans to mitigate it … even if it means walking away. Pessimists ONLY see the downside and can’t act. Optimists only see the upside and hope for the best. We’re pretty sure hope is not an investment strategy. Be a realist and get good at seeing and managing risk. Profit and net worth are important. Cash and cash flow are essential. A business mentor of ours once taught us that cash is like oxygen, while revenue is like water, and profit is like food. You can survive for a long time without profit … if you have revenue and cash. You can survive for a little while without revenue … if you have cash. But run out of cash … and you’ll be dead very soon. So have some liquidity at all times. Write off the lost opportunity cost on the cash as an insurance premium. And do NOT count on credit for liquidity. We did that once … and it didn’t end well. Lenders tend to cut off credit when you need it the most. Let’s face it. Some investments are more risky than others. But if you don’t have firewalls, then just ONE risky investment can implode your entire portfolio. You might have a solidly built, cash-flowing portfolio of properties, and a high net worth with good liquidity, and hedges against inflation and deflation. … and EVERYTHING goes … UNLESS you use legal structures, mental discipline, and emotional control to isolate risk. It’s a bigger topic than we have time for here, but we address it in ourIntroduction to Strategic Real Asset Investing webinar. You can get the webinar as a free bonus when you order the Future of Money and Wealth video series … which is a great primer on several risks ALL investors should be paying attention to right now. Real estate prices and interest rates are rising. Cap rates are compressing. As a result, some investors are switching from equity investing to debt investing. So in this episode, we’ll take a deep dive into the world of debt investing. Equity investing is a way to capture growth and get capital gain. Debt investing, on the other hand, means loaning money to other investors as a way to generate income. But in times of financial uncertainty, debt investing can be a way to reduce risk and generate predictable incomes. John Larson is a turn-key provider at American Real Estate Investments (AREI) in Dallas, Texas. He’s worked in Dallas and other markets for many years … but now he’s seeing something new happening in Dallas. Prices and interest rates are now higher than they were in 2006. The cap rate is compressing, and as a result, cashflow is decreasing. And rents are starting to plateau, which puts investors in a bind. Larson says this isn’t enough for him to start moving into C and D class neighborhoods … cash flow on paper doesn’t mean easy cash flow in reality. Instead, he’s come up with a different option … syndicated money lending. John manages the development opportunities … investors just have to put in the capital. In return, they get a fixed, passive income stream each month. “It’s a way to play a strong market AND get cash flow,” John says. Which is safer … equity or debt? In terms of rate of return, the debt investing model allows investors to get a specific, predictable rate of return. John uses a trust deed model, where lenders get deeded the trust to the property … but in this case, there are multiple lenders. For each deal, John raises 2 to 3 million from a group of 25 to 35 lenders. Investors get double-digit fixed returns … 10.5 percent of the amount they’ve invested, paid out over 15 months or until the loan is complete. Usually John’s loan deals last from 18 to 36 months. And John pays out returns on a consistent monthly basis. John calls the solution a “win-win” for both AREI and the lender groups. Lenders get great returns … and John gets funding for many different types of development opportunities. How will the borrower pay me back? What happens if they don’t? Typically, debt syndicators will use money from private loans to rehabilitate or develop a property. Once construction is complete, lenders get their principle PLUS proceeds back. Debt investing is a lot different from the traditional equity route … and investors need to get their heads around that. Do investors need to be syndicated? At AREI, the answer is NO. Most of John’s investors are not accredited, because loans are not securities. But often, private lending requires a minimum principle amount. John says his investors come in at around $100,000 on average, and the minimum is about $50,000. We mentioned John works in the Dallas-Fort Worth area … but we didn’t mention WHY. Dallas-Fort Worth is top-10 metropolitan statistical area … and it hits all the right notes. “I feel safe about this market,” John says. He notes that data shows continued demand in the area, along with multiple companies in a variety of industries. The population is expected to continue increasing in future years. But investors DON’T have to be located in Dallas or even Texas to take advantage of John’s debt-investing program. That’s the great thing about passive investing. For more from John, check out his podcast, The Real Estate Cowboys … which is all about how you can capitalize on passive income investing. And listen in to this show to get access to a special report from John with more information about passive private lending opportunities. When people think about real estate investing, they usually dream about owning a ton of properties. But debt investing is a way to expand your portfolio and bring in monthly cashflow … without having to manage a physical property. It’s also a way to capitalize on a tight market. With property investments, cash flow changes as rents, and rates, rise and fall. Cash flow from debt, on the other hand, is more stable. And lending money in a hot market is a great way to help investors get around rising interest rates … while taking in great returns, yourself. Just like equity investing, debt investing can be done many ways. You can make small loans and be more hands-on … or you can work with someone like John and be totally passive. Regardless of the option you choose, you’ve got to look at what the market is giving you. Right now, it’s giving you rising interest rates for the first time in decades … but that doesn’t mean there aren’t great investment opportunities if you look closely. Beauty is in the eye of the beholder … and in real estate, an appraisal is what gives you the unbiased, third party opinion on a property. Appraisals happen whenever a lender is involved in a transaction, but that’s not the only time you’ll need or want an appraisal. Nearly everyone who has purchased a property has dealt with an appraiser. In most all cases involving a lender, an appraiser is involved. A lender is one of several parties interested in the value of a property. The seller, buyer, and lender all have an interest in knowing about value for different reasons. But, an appraiser has no vested interest in a property’s value, making them the neutral third party. However, even though they are neutral, it’s good to keep in mind that their appraisal is an opinion of value. While lenders are often interested in an appraisal to check out the value of the home versus the loan, it’s a FANTASTIC tool for investors, too. Appraisers can determine the value of a property based on future use. Depending on what improvements or changes an investor plans to make, the value of a property changes. So, why would you need to understand valuation? An appraisal doesn’t only happen when evaluating or completing a real estate deal. It’s a way to understand your portfolio and properties at any point along the way. An appraisal has a very specific purpose. Its job is to solve a problem: what is the highest and best use for this? That’s the challenge. Appraisers in many countries use the same methods and standards to solve this problem. The Appraisal Standards Board (ASB) develops, interprets, and amends the Uniform Standards of Professional Appraisal Practice (USPAP). Sales comparison method. Look at similar properties and what they’ve sold for recently. Capitalization approach (income approach). This is the value the property based on the income it generates. What are people renting for right now? Where else could they go locally? In some cases, there aren’t many comps to look at, so the income a property is currently generating might be more appropriate. Summation approach (Cost segregation approach). Look at the income from the property and ask: What would it cost today for the land, construction, and development? This is a way to appraise a large, one-off or unique building. The appraisers job is to look at the value based on these approaches and to weigh them properly. Since appraisal reports are a third-party opinion of value, they aren’t set in stone, and shouldn’t be taken as the gospel truth. Once you know what goes into an appraisal report, you can think critically about them and extract the parts that are useful. And, it can be a valuable tool for negotiation. In some cases, if an appraisal comes back LOWER than the offered price, it’s appropriate to go to the seller and start with that valuation in the negotiations. Or, if you’re planning to go in on a deal with someone else and need to split the property value later, an appraisal is that neutral party that provides the numbers. As with any expert, appraisers have a WEALTH of knowledge, and it’s worth learning a little about their craft. Some appraisers have some impressive niches, including airports, commercial buildings, and even haunted properties! If possible, try to be on-site for an appraisal and learn what the appraiser is looking for. All of this information feeds into your education and foundation on how to improve properties to get the best bang for your buck … especially in a refinance or a sale. Appraisals are a valuable tool for an investor. Whenever possible, be sure to spend the money on an experienced, well-respected appraiser. Then, when you get your report, understand the value AND the limitations of a report as you make your important investment decisions! Tenants, toilets, and termites … real estate investing isn’t always pleasant. But we have good news for you … real estate is more than just single- and multi-family properties (although we’re big fans of those investment classes too). 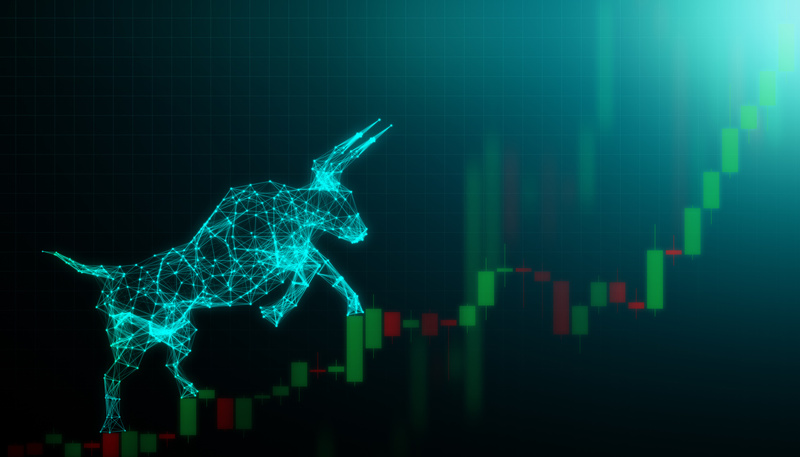 In our new Profitable Niches series, we’ll explore a variety of niches in detail so you can find the asset class that best fits your investing needs. This episode explores a fascinating niche … self-storage properties. We’ll dive into the reality and myths of this tenantless niche with a multi-talented investor, Dave Zook. Dave Zook doesn’t pigeonhole himself into one asset class. He started out with multifamily and single-family homes, but has since then expanded to resort community development and ATM investing. He also runs The Real Asset Investor, where he finds and curates real asset investment opportunities for investors who want to build wealth. Dave’s latest venture has been self-storage units, so we sat down to discuss some need-to-know characteristics for this asset class. First, what should investors look for in a self-storage investment? Investors need to make sure everything pencils out. 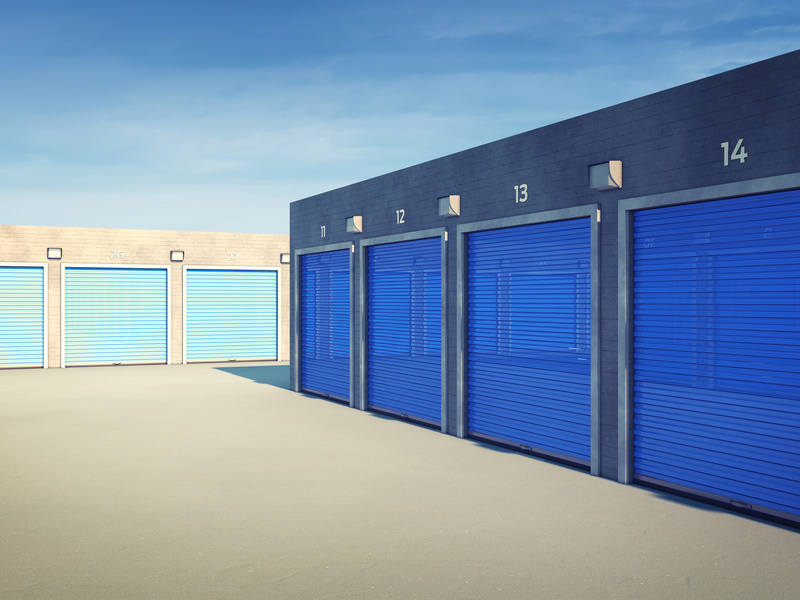 Demand for self-storage units varies drastically depending on the market and its demographics … and demand and profitability also change over time. Some markets are overbuilt. Investors need to do a comprehensive market analysis. Investors can look at population growth, strength of economy, and the local job market. Dave Zook says his one go-to metric to figure out whether a market is over- or underbuilt is comparing the square footage of existing storage space to the square footage needed per person in the average market. We asked Dave whether self-storage investing has gotten too hot for investors to get in. His answer is a definite “no.” “There’s still opportunity, especially in tertiary markets, to get in,” he says. Like all real estate investing, there’s a smart and a not-so-smart way to go about investing in self-storage. Dave says that just like in multi-family investing, a key component of a profitable investment is purchasing a property with value-add opportunity. For Dave, the best way to go is purchasing a property in a desirable location, whether unbuilt or with B- or C-class storage buildings, and then reviving the property and adding value and square footage. How can investors choose what type of self-storage units to invest in? After all, there are a lot of options, including business/commercial storage and air-conditioned/climate-controlled storage. A lot depends on the geographic area in which you’re investing, says Dave. For example, you’ll find far more climate-controlled storage facilities in Florida than elsewhere in the country. Tenant/landlord laws don’t apply when your tenants are boxes. This changes your risk parameters immediately. Self-storage facilities are commercial spaces, not residential. It’s a lot easier to shut down a non-performing tenant under commercial rules. Self-storage renters tend to use spaces long term. Although the average self-storage tenant intends to stay 3 to 6 months, most stay between 28 and 30 months. Another bonus? Self-storage investments are accessible to mom-and-pop investors who come in alongside a syndicator. In fact, Dave specializes in syndicating opportunities for smaller investors … read on for details about his syndication program. Dave follows the 10,000-hour rule. According to Malcolm Gladwell, it takes 10,000 hours of practice to be world-class in any given field. How, you may ask, has Dave spent 10,000 hours learning the ropes of every asset class he invests in? The answer … he hasn’t. Dave calls himself a generalist. He dabbles in many different areas, but when it comes to down-and-dirty details, Dave relies on a team of specialists to operate investment properties. Dave says his “shortcut” to becoming a great investor is finding a team and rallying around them. “Doing business with a great team can turn your investment experience from a nightmare to something really enjoyable,” he says. Currently, Dave partners with Reliant Real Estate Management to operate ongoing and future self-storage investment syndication deals. 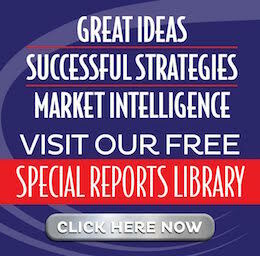 These experts have a proven track record of profitable management … a must-have for Dave and his investors. Dave’s most recent self-storage deal is quite spacious … 70,000 feet. Dave is expanding the 526-unit property to add approximately 400 more units. Dave purchased his latest property for approximately $8 million, with $4 million down. Once construction is completed, he and his team will be at about 75 percent loan to value. Obviously, self-storage owners need to provide a mix of unit types and sizes. Although it can be a challenge to figure out exactly what you need, Dave says he relies on historical data … and expert analysis … to predict demand and occupancy. Most investors aren’t going to buy a 70,000-square-foot property solo. So we asked Dave what is looks like when investors come alongside him in a syndication deal. The timeline for Dave’s deals is typically 60 days from contract to close. The first 10-15 days are spent structuring the deal, and then investors typically have 45-60 days to join in. Investors contribute a minimum of $100,000 and must be accredited. It can be hard to find opportunities like those Dave offers, so connection is key. The best way to find deals is to connect with people entrenched in the space you’d like to invest in. Looking for more information on investing with Dave? Listen in to the show to get access to a complimentary self-storage report from Dave Zook himself. There are a lot of ways to play the real estate game. For those just getting started, the wide array of options can be confusing. And for established investors, it can be easy to choose an asset class and stick with it! That’s why we created the Profitable Niches series … to break down the various types of asset classes in a detailed but understandable way so YOU can do the best deals. Dave is a great example of someone who’s taken our motto, “Education for effective action,” and put it to work. He’s also a great example of someone who knows he might not be the smartest person in the room when it comes to a particular asset class … and acknowledges the value of building a great team to fill in the details. Want to be more like Dave … an experienced investor who has stayed out of the weeds and developed a diverse, thriving portfolio? Keep listening to the series! Learning more about each asset class will allow you to do a thorough zero-based analysis of your current portfolio so you know whether you would do it again … and what you need to change to build wealth and satisfaction, your way. “Are we in a real estate bubble right now?” Trust us, we’ve heard this question asked a LOT lately. In this episode of The Real Estate Guys™ show, we’ll dive into that question. 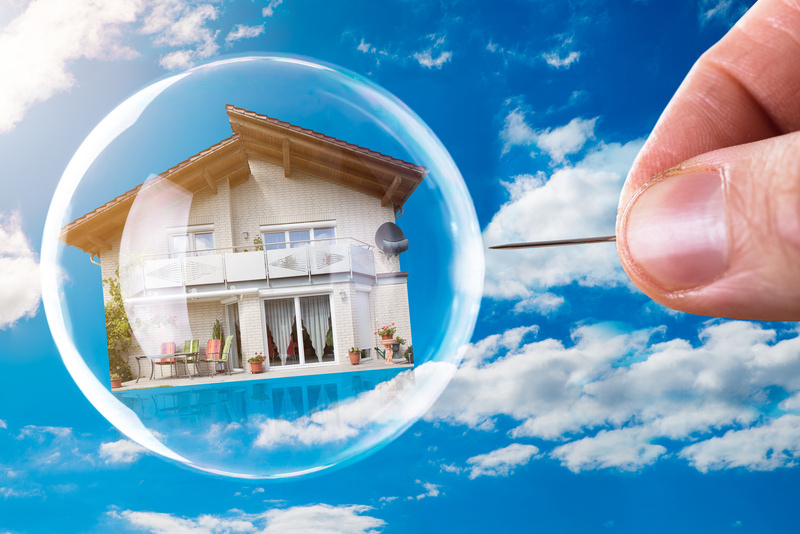 Are we in a real estate bubble? Our primary caution to you is that all-time highs do NOT equal market bubbles. Leverage. Financing means pulling money from the future to bring in dollars today. But the ready availability of money can end up driving prices higher, even though many loans are fashioned to make things more affordable. Disparity between supply and demand. When there’s more demand than supply, prices go up … even if the price no longer matches the value of the commodity. Inflation. Inflation causes currency to literally lose its purchasing power. So it takes more currency to buy the exact same things. When you see runaway price increases, take a minute to consider what the cause is. Is the fundamental value of the property increasing, or is rampant speculation driving prices up? When the factors above start to change, the price of a property can increase … or decrease … significantly. So pay attention. Don’t get so caught up in a hot market you get blinded to the actual value of an investment. Buy because it makes financial sense … and not because everyone else wants to buy. If you don’t know better, it’s easy to believe you shouldn’t be buying anything right now. But real estate is a very different investment than most. Every single deal is unique, which means YOU have a ton of flexibility to add value to a property. Real estate allows you to negotiate on the front end, manage operations on the back end, and analyze any given property on its own individual merits, instead of just looking at the market or asset class as a whole. Real estate is not a commoditized asset. That gives you the power to strike individual bargains. The vast majority of investors invest in stocks and bonds. They’re used to having zero control. 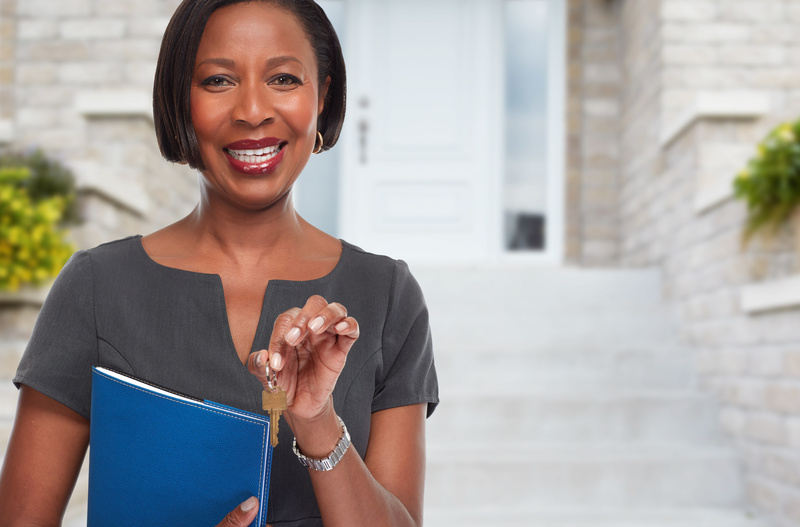 As a real estate investor, there’s a lot you can do to position your portfolio for success. Avoid the bubble mentality. Don’t buy because everyone else is buying. Don’t treat properties like commodities and hope something good will happen. Pick your investments individually, and make sure you have a Plan A … and a Plan B and Plan C.
Then, do a sound analysis and underwriting. Wondering whether there’s a difference? There certainly is. Analysis means gathering the numbers and putting them together to get an estimated return. When you get a pro forma, make sure you double-check the analysis … the math isn’t always correct. Underwriting goes one step further. A proper underwriting process pulls third-party financial statements to verify the numbers from the analysis match reality. It’s very important to underwrite all of your deals. Do this by gathering all the information you can from trustworthy parties … financial statements, rent rolls, copies of rental agreements. You can even go a step further and verify information with tenants independently. Next, you need to make sure your assumptions hold water. Check the property tax, the property condition, and maintenance schedule. Evaluate the total cost of an investment, including needed rehab. Last, look at your potential revenue. Evaluate rents to see if they match market rates, and see whether there’s any opportunity to make improvements and increase revenue. A note … you CAN’T underwrite your way out of risk. But to minimize risk, you want your eyes as wide open as possible. Underwriting is important when making a new investment, but what can you do about your existing portfolio? Quite simply, you can go through the same process you would with a new purchase. Use zero-sum thinking to ask yourself whether you’re getting the most from your investments. Look at the numbers … cash flow, debt and interest rates, and equity. Is there any room to improve the property? You might think about moving some equity around. Many real estate investors think the only option for accessing equity is selling a property or doing a 1031 tax-deferred exchange … but you have a third option. Consider a cash-out refinance, which allows you to transfer equity from a developed property to a market or property type with upside potential. To proactively strategize about bubbles, separate your equity from your properties. But be cautious … always do underwriting and analysis on potential purchases. You do run a risk when you thin out your equity, so make sure you hedge your bets as much as possible. Making a risky purchase could mean being locked into a property when equity and cash flow decrease during a downturn. So, ensure you have a plan for holding on to the properties you purchase in the event the market crashes and you go underwater. Time heals a lot of wounds … we’ve seen many investors hold onto properties during a downturn only to make a killing once the market starts perking up again. It may well be that the market you’re in has bubbled to the point where selling makes sense. When considering where to put your equity, be cautious and be smart. There are quite a few things you can do to protect yourself from the downside of bubbles and benefit from the upside. Seek out recession-resistant pricing. You want to look at rent pricing that is just below the market median. This is the sweet spot … you’ll get people coming down from the top in bad times and people coming up from the bottom in good times. Follow the barista rule. Some markets are more affordable than others. If your barista can afford to live in the same area they work in, that market has recession-resistant pricing that isn’t artificially inflated. Be in a position to pick up bargains when the downturn comes. Have the wits to pull some chips off the table when the market’s at the top so you can make a killing when the market deflates and there’s blood in the streets. In other words, keep some liquid equity close at hand when the market starts getting hot. Bubbles aren’t bad … markets naturally rise and fall. You just have to be resourceful enough to catch the waves. Now go out and make some equity happen! Financial planning 101 says create equity first, then invest it for cash flow later. Of course, real estate investors know cash-flow creates equity … but that’s a different discussion. With paper assets, the basic formula is to buy stocks young to grow equity, then sell them later to buy bonds in retirement that will produce cash flow to live on. But for folks trying to retire today (and there’s millions of them! ), today’s pitifully low rates pose a BIG problem. They either need to have a TON of equity … or be willing to live a miserly existence. Think about it … even $1 million dollars invested at two-percent only creates a meager $20,000 per year passive taxable income. In other words, thanks to the Fed, you can be a cash millionaire … and only have enough interest income to live just above the poverty level. … or stay in equities (stocks) and hope the next inevitable correction (crash) doesn’t cut your nest egg in half. Of course, if the stock market crashes, history says the Fed’s probable response is to LOWER interest rates. For retirees, that’s a DOUBLE-WHAMMY … crushing both asset values and interest income. Thankfully, as real estate investors, we don’t have to worry about most of this. But non-real estate investing boomers have a BIG problem. Their best hope of getting the Fed on their side is to stay in the stock market. We think it’s fairly easy to make the argument real estate is a FAR better equity play than stocks … but that’s not today’s message … and you probably already know it anyway. Today is about OPPORTUNITY … the HUGE opportunity for real estate investors because of what’s going on in today’s market. For small-time operators, this is a great time to search for equity-rich owners who are selling so they can retire on liquidated equity. So don’t just offer to buy the property … ask the seller what they plan to do with the proceeds. Uncover their problem so you can offer a solution. If their plan is to put the money into bank CDs or government bonds … they’re looking at puny yields of less than three-percent. Sure, we know there are bond funds with TOTAL returns of six to eight percent, but that includes capital gains on bond values. If rates rise, those capital gains become LOSSES. And if anyone wants to compare total returns … a typical leveraged single-family rental destroys bonds. But that’s also a conversation for another day. Our point today is LOW interest rates are creating a BIG PROBLEM for a HUGE group of people … and a TREMENDOUS opportunity for real estate investors to profit from helping. … you can triple or even quadruple their income compared to bank CD’s or bonds. Of course, you may not want their specific property, so a carry-back isn’t always the best play. But it doesn’t mean you can’t create a win-win deal anyway. Suppose you have other properties you do want, but need financing … and for whatever reason you can’t or don’t want conventional loans. The approach is the same, except the equity-rich property owner uses their equity to loan against the property you do want. … you could set up a syndication and aggregate several individual investors into a bigger pool to do bigger deals. Help people who need income and have stock or real estate equity, by showing them how to move the equity into higher yielding vehicles … with YOU. Even if there’s interest expense involved in freeing the equity, as long as the risk-adjusted spread is positive, it’s a win. For example, if a property owner has $100,000 in idle equity which can be unlocked with a fixed-rate long term loan of four-percent … they have interest expense of $4,000 per year (typically tax deductible). When you offer an eight-percent yield through a private mortgage (loan) or a cash-flowing property (equity share) … you provide them $8,000 per year passive income. Now you’ve delivered them $4,000 per year of additional free cash flow, while YOU own all or part of an investment property funded with their equity. Once you understand the concept, you can just add investors, zeroes, commas … until you have a portfolio that’s as big as you’re capable of making it. The bottom line is low-interest rates create HUGE opportunities for real estate investors big and small … and it’s not just simply going out and getting bank loans. When you learn how to help people solve their cash flow problems through strategic equity management, you set yourself apart from investors who aren’t as creative.